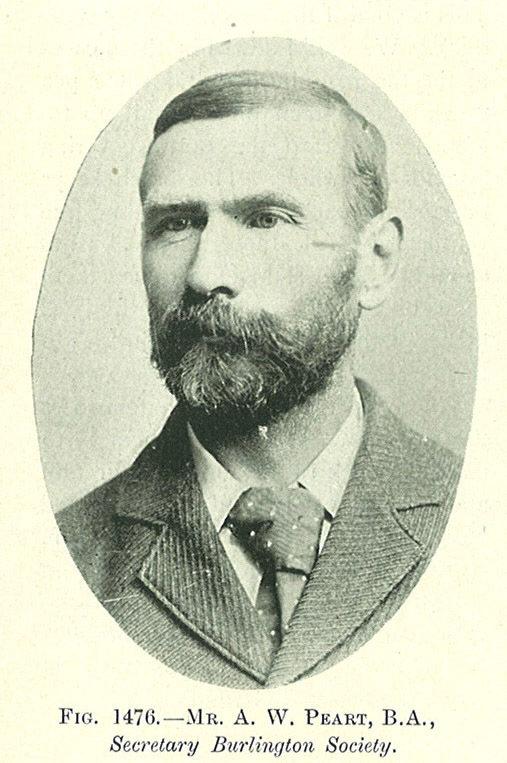 Comments: A. W. Peart (Nee: ) | Burlington Ontario Canada | 1851-1900 | Comments: This portrait of Mr. A. W. Peart appears on page 462 of The Canadian Horticulturist, vol.XXI, no.12, December, 1898. See that reference for more information. The Burlington Horticultural Society in Ontario, Canada was organized in March 1889 with Mr. A. W. Peart as secretary. Mr. Peart had a B.A. from the University of Toronto. His father's name was Thomas Peart, together they ran a farm which grew a variety of crops and produced fruit, beef, butter, pork, grain and so on. They also planted lots of grapes. A. W. Peart also was employed on the staff of lecturers at the Farmers' Institute. That is all the information I have on him.